It was a big crowd, and overwhelmingly friendly. 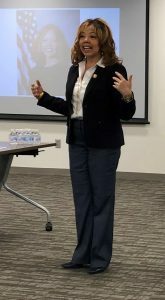 Well over 100 people turned out Saturday morning to see Georgia’s newest member of Congress at her new district office in Sandy Springs. 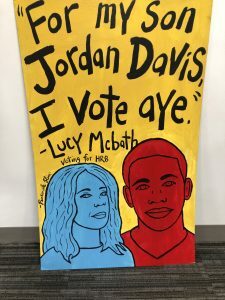 McBath rose to national prominence as a spokesman for gun reform after her son Jordan Davis was killed at a Florida Convenience store during a dispute over loud music. Early last year, she was planning to run for the Georgia House, but decided to step onto the national stage after Florida’s Parkland shootings. Her one-point win over Rep. Karen Handel in November was a highlight of last year’s Blue Wave. Already, the result has yielded … results. She is on the Judiciary committee, as well as Labor and Education. And she landed a great office space. All three bills face a rocky road in the Republican-majority Senate, and President Trump has already stated he will veto the gun reform laws. A veto of HR 1 is guaranteed, as well, since in addition to enhancing voting rights and its other reforms, the bill requires presidential and vice presidential candidates to submit 10 years of tax returns. Suffice to say another Blue Wave in 2020 will be required for these reforms to be enacted. One example of how she’s representing a swing district: Her nuanced approach to raising the minimum wage. While she favors raising it to $15.00 by 2024, she said she didn’t sign on to the Raise the Wage Act; instead, she’s working on a bill that would raise the wage while addressing the concerns of small businesses with ten or fewer employees and also geography (presumably to factor in the cost of living in different U.S. cities and states). 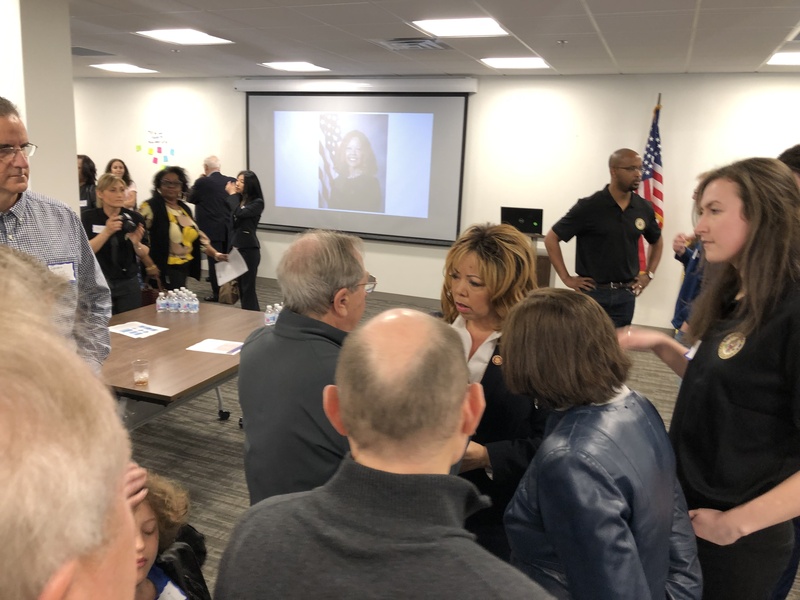 After her remarks, Rep. Lucy McBath took time to shake hands and listen to constituent concerns. She took her time with each person, and since people kept coming in—and there were so many concerns—the reception line grew longer as time went on. Following the Meet and Greet in a large 1st-floor conference room, visitors could tour her third-floor offices, which are still in pristine condition (you can walk on the inset, though). 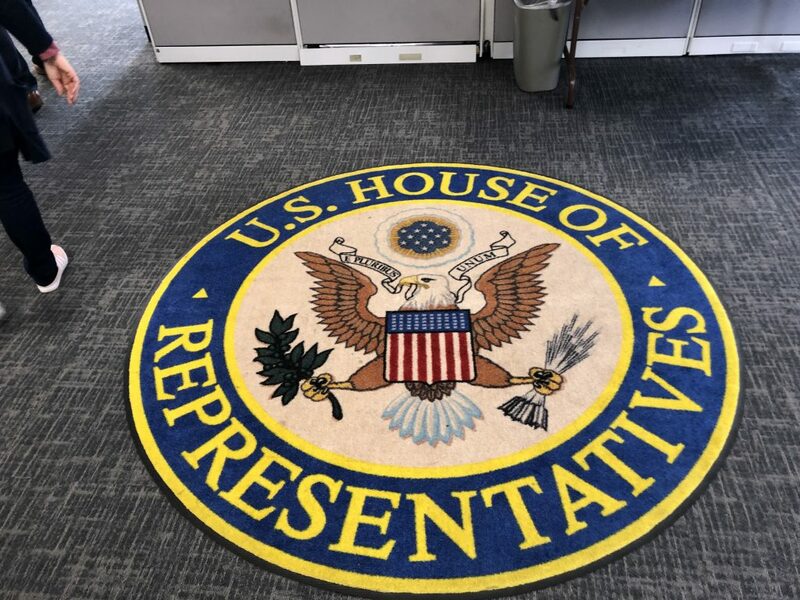 Due to the crowd size—and the amount of time the Congresswoman spent with each constituent—I didn’t get a chance to speak with her Saturday, but I did connect with several her bright young staffers, including District Director Antrell Tyson; Communications Director Jen Fox (former deputy press secretary for Rep. Adam Schiff); Field Representative Chris Speed; and District Office Manager Bethy Agonafee.